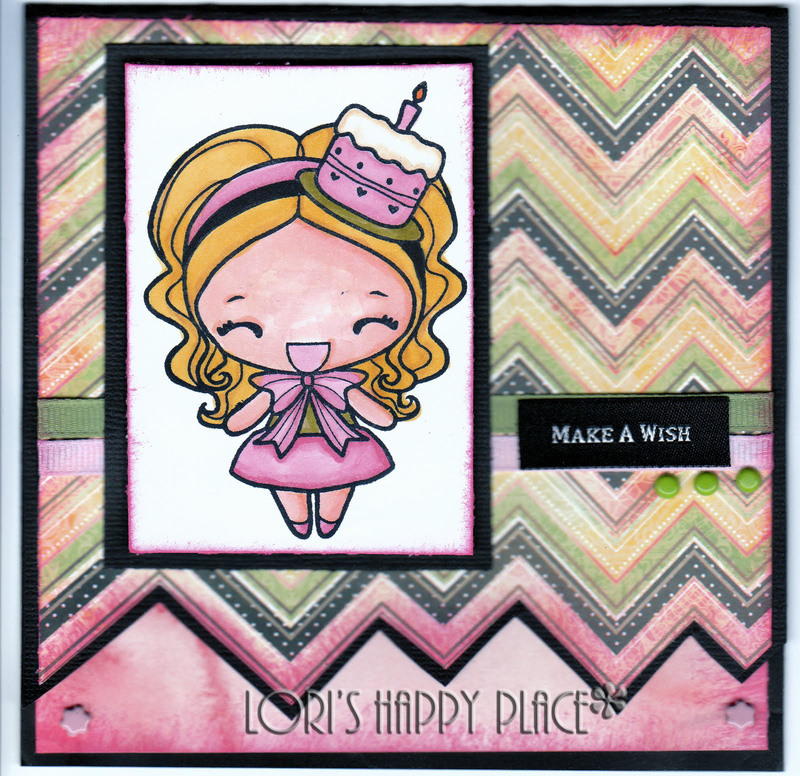 Lori's Happy Place: Happy Birthday Beth!!!!!! This week one of my dear friends is celebrating a Birthday!!! She didn't want us to do anything. We tend not to listen when it comes to birthdays. We will be taking her out to breakfast this morning. Here is the super cute card I made for her. The stamp is Birthday Anya from The Greeting Farm stamps. Ribbon, Brads, and a "Make a Wish" Ribbon saying. 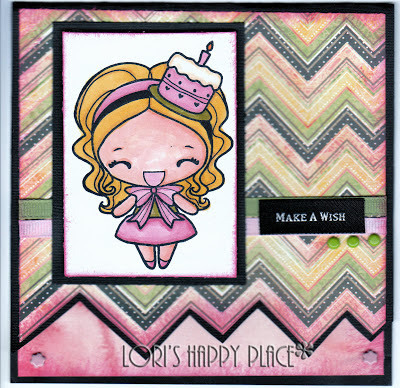 This is ADORABLE Lori! I love the paper and you colored her up so great! Happy birthday to Beth-tell her hi for me please! Lovely card! The colors and patterns go so well together.